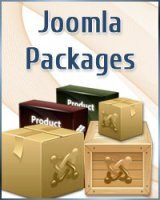 Joomla Packages : IDEAS Creative Group, Your image... our business! Many small business owners don’t have the budget to put out big bucks for a website and doing it on your own can seem overwhelming. 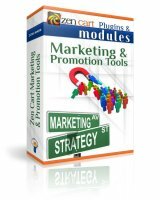 Now you can get a great website with just the functionality you need, for a fraction of the price. We will discuss your specific needs and develop a site that's not just attractive and well-functioning, but promotes your business even when you can't. 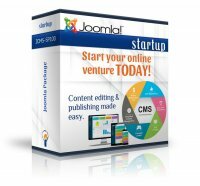 Either you want to present valuable information about your company, maintain a blog or news catalog, or manage a unique database; it never has been easier to manage your website than now with Joomla and our CMS Packages. The emphasis at IDEAS isn't just creating nice-looking web sites, but rather creating sites that work seamlessly with your brand image and business needs. University of Notre Dame, Ikea, The Hill, Holiday Inn, and Harvard University are just a few websites that are based on Joomla platform. Yes! That's how powerful it is. Joomla allows you to build a site with more content and structure flexibility than Wordpress, but still with fairly easy, intuitive usage. Supports social networking, multi-language, and it's great if you are thinking to develop your site much more than just and informational one. Powerful: allows you to build a site with more content and structure flexibility than WP does. It has a better interface for managing large amounts of articles. Editing and building structure is really intuitive and easy to do. Scalable: dozens of extensions for e-commerce, classifieds, forums, communities, catalogs, magazines; allowing you to manage your website and content all in one place. If you are looking to develop any of these, Joomla is the way to go; also multilingual out of the box. Security: offers both, an option to force connections over SSL and another one for Two-Factor Authentication (2FA). In addition, it offers its own set of security extensions, and its developers maintain a list of those extensions with known vulnerabilities. You will get from IDEAS affordable web design and development for your website. We like to get involved in the process of the selection of the platform because many times the web owner doesn't know what they need or what is best for them. 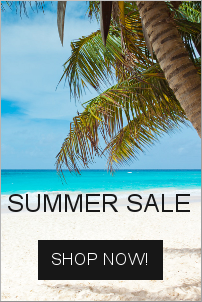 We have put together different packages that might fit your needs and budget. 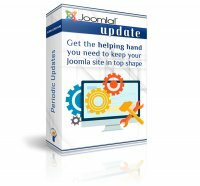 A major advantage of using a Joomla Content Management System is that it requires almost no technical skill or programming knowledge to manage, and we provide FREE basic training on how to use and update your website. Keep in mind that: every customer has their own needs and requirements and often need more than just a "boxed" or general product. Please feel free to ask for a custom quote if you don't see exactly what you want/need.